History made them enemies. Chance made them master and slave. Love overcame it all. But love isn’t always enough . . . 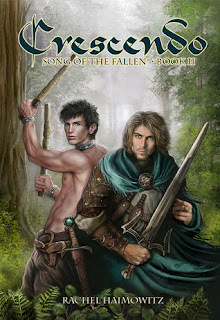 While Ayden is stripped of his magic, Freyrík is forced to choose between his love for elf, Aegis, and brother, all the while seeking the one uncertain path that might save his doomed race. Time is fast running out for mankind, and only by making peace amongst themselves and with their ancient elven enemies can they end the Dark war—and undo the tragedy that’s plagued humans, elves, and Dark Beasts alike for the last three-hundred years. Miss Haimowitz has got it, she has outdone herself in this one when it comes to the writing. She could have given us an easy HEA, an easy road for both Freyrik and Ayden but man if she didn’t blow all of that out the water. These lovers were pushed beyond what they could handle and for a little bit man and elf looked as if they were not going to make it. This action packed epic tale will keep you on your toes and have you cheering for the humans and elf alike. The books picks up after Freyrik is summoned to court, that has him scared for both his life and for Ayden. The trust of his people is waning because his feelings for an elf is noticeable. There is no denying that Rik is in love, but it’s traitorous because their King has taken up with the enemy. Freyrik and Ayden venture into unknown, will they be riding into their deaths or will the Aegis himself be forgiving. Though Rik is happy to be seeing his brother after sometime, he just walked right into a political war. 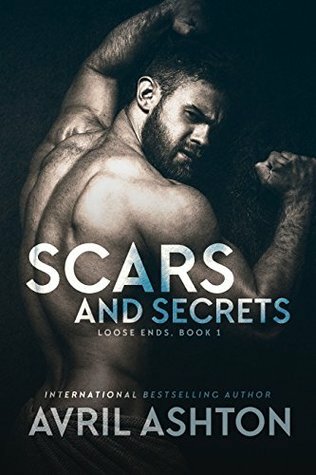 One move with the wrong alliance could cost him his life, because in this war love is not enough. Rik cannot protect Ayden in the Aegis court, and his mental stability is being pushed the limit. He is taking Ayden to the one place he has no control, the one place he cannot over rule and keep Ayden at his side. As soon as they arrived Ayden is taken stripped of his song (magical powers) and taken away to be treated as the slave he should have been all along. Through this Ayden knows that Rik has no power where they are, but it doesn’t stop the small resentment he has. That once again the ‘human’ he loves has failed to protect him. While Ayden struggles with trying free his fellow elves and wanting to remain with Freyrik, Freyrik struggles with where his loyalty lies. So blind in his trust of his brother and the love for the Aegis, he is caught between a rock and a hard place. 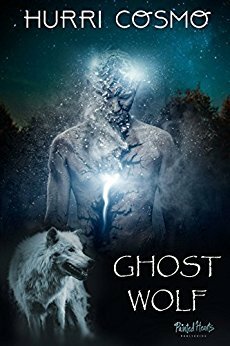 When Freyrik and Ayden is sent to find out where the feral comes from (read first book), to test his loyalty. The mission could cause them their sanity if not their lives. It will lead to some truths and finally an understanding between both humans and elf. I am not surprised by the awesmazingness that is this book. The bitter hate humans feel towards things they don’t understand/fear is captured splendidly. The adventure would make any fan of fantasy happy in their pants, such imagery and passion filled the pages. I never thought I could fall in love with Ayden anymore; man was I in for a surprise. With all the pain he endures, he still manages shine even without his elf light and at times when he should hate Freyrik he always becomes the sole thing that Ayden lives for. How can you not love such a pure heart, how can you not love them together. Just when you think ‘yep it can’t get any worse’ bam it does. Then when it’s good, hmm it’s really good. It’s a book not to be missed, and a guarantee that fans of the first will love. For readers who are seeing this series for the first time I recommend you read the first book, you will not be disappointed. I am in awe, I am in love and I am losing my pants. This is fantastic read filled with love, anger, hatred and a plot so deeply intricate you will lose yourself in the pages. When you think about one of the great reads, you will remember this book. Great review. I'm cracking this one next. Can't wait! I have heard great things about this series. I was holding off on the first one b/c I heard it was a cliff hanger. Is this on as well? Or does it have an end? Any sense of whether there is more to come? Jay there could be more if the author chooses, maybe a look in the future to see where they are. There definitely is a HEA in this book. Oh good, I hate waiting for sequels! I am very impatient so I end up avoiding books w/o a resolution b/c I don't want to get stuck waiting. I'll have to check these out now.